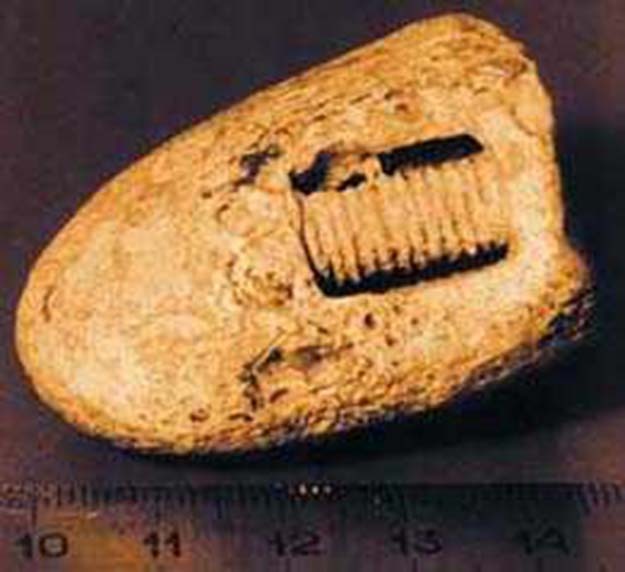 "While investigating the remains of a meteorite outside of Moscow in 1998, Russian scientists discovered a rock with a screw firmly fixed inside. Geologist estimate the age of the rock to be 300-320 million years old. Evidence shows that the iron atoms of the screw and the silicon atoms of the rock have in fact spread and fused, suggesting the screw is by no means a recent addition to the rock".